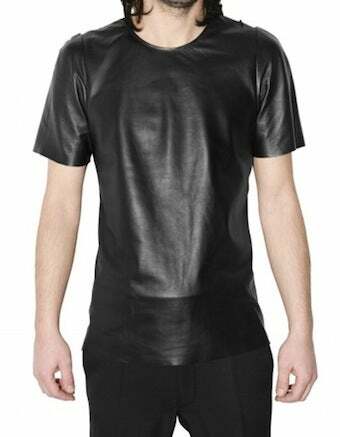 Places where one could comfortably wear this $700 leather t-shirt: Renaissance fair, riding a motorcycle, LARPing convention, a Maison Martin Margiela show (but only in 20 years), Ozzfest. Versatile! But that still doesn't make up for the skin-suctioning embrace.